A notorious Philadelphia mob boss pleaded guilty to an illegal betting charge on Friday before taking the occasion to make a bold prediction about his home town team's chances in the NBA playoffs. 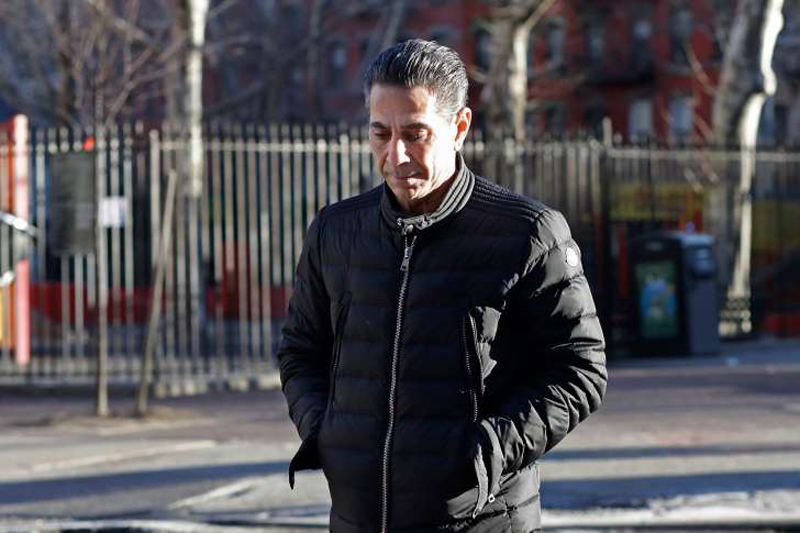 Joseph "Skinny Joey" Merlino, whose lawyer has called him a degenerate gambler, told reporters outside federal court in Manhattan he was picking the Philadelphia 76ers to win the championship. He also chimed in on Philadelphia rapper Meek Mill's recent release from prison, saying, "I'm glad he's at home with his family where he belongs." The comments came after Merlino agreed to plead guilty so he could avoid a retrial in a racketeering case that ended with a hung jury in February. The deal calls for a prison term of up to 16 months at sentencing on Sept. 13, though U.S. District Judge Richard Sullivan said he could impose a longer sentence based on Merlino's criminal history. Once freed, Merlino claimed that he retired from the mob for good and began running an upscale Italian restaurant called Merlino's in Boca Raton, Florida, that's since closed. But he ran afoul of the law again in 2016, when he was among four dozen defendants arrested in a crackdown on an East Coast syndicate that prosecutors say committed crimes including extortion, loan-sharking, casino-style gambling, sports gambling, credit card fraud and health care fraud. At trial, the defense sought to convince jurors that they were being misled by "compromised" turncoat mobsters who testified against Merlino, while prosecutors said tapes secretly recorded by one of the cooperators showed the defendant had full knowledge of syndicate's various misdeeds. In one conversation played for the jury about bribing doctors, he was heard saying, "We do the right thing, make 20,000." In another, he fretted about "stool pigeons." Before the mistrial, Merlino had predicted outside court that the case would end in a "deadlock win" for him. He also offered what turned out to be a winning tip on the Super Bowl: "Oh, and bet the Eagles."